Hey gang! After this weekend, I go back to the grind and being on call a ton, but I have a Mexico vacation to look forward to! Just a few updates. 1. Don't forget to sign up for the great giveaways I've got going on! Some of them have only about a week left! 2. Please follow me on Bloglovin' since GFC is going away on July 1. Linky and email are two other ways we can stay connected! 3. During my vacation, I won't be able to blog during that week. That's May 7-12. But I'll be back after that!!! 4. Don't forget to vote on the poll on the left hand side of my blog. 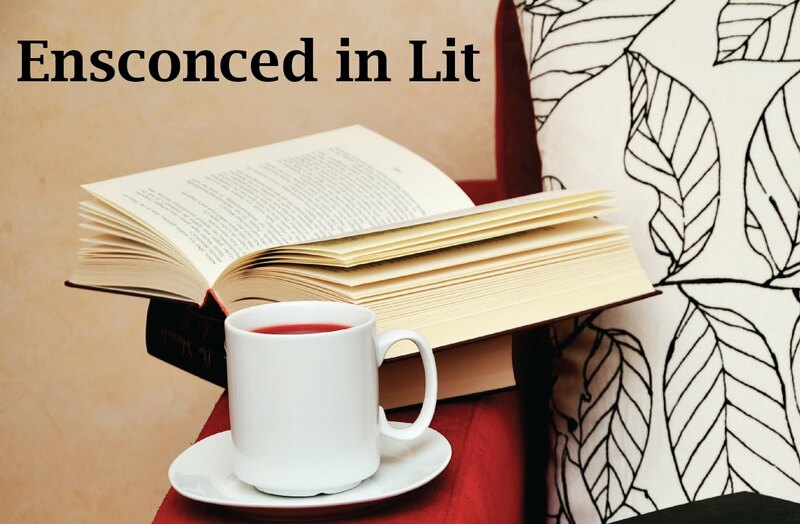 This is for the adult version of Ensconced in YA (it'll still be family friendly), called Ensconced in Literature. I've read some great adult books that I'd like to share, and it'd be nice to have a place to talk about them! That said, this blog keeps me pretty busy, so it will be a very part time blog if I start it. 5. Tune in next week for a great giveaway and interview with Diantha Jones, author of The Oracle of Delphi series-- we'll be giving away a signed copy of Prophecy of the Most Beautiful, the first book in the series or Everneath by Brodi Ashton.